Water scarcity due to increasing urbanization and population in urban and rural areas makes necessary planning for artificial groundwater recharge. Remote Sensing (RS), Geographic Information System (GIS) and Analytical Hierarchy Process (AHP) are advantageous tools to delineate the Groundwater Potential Zones (GWPZ) in arid and semi-arid areas of India. An aggregate of eight thematic layers affecting groundwater potential of the area were assigned appropriate weights dependent on the Saaty’s 9 point scale. These weights were normalized using AHP technique to delineate the GWPZ. 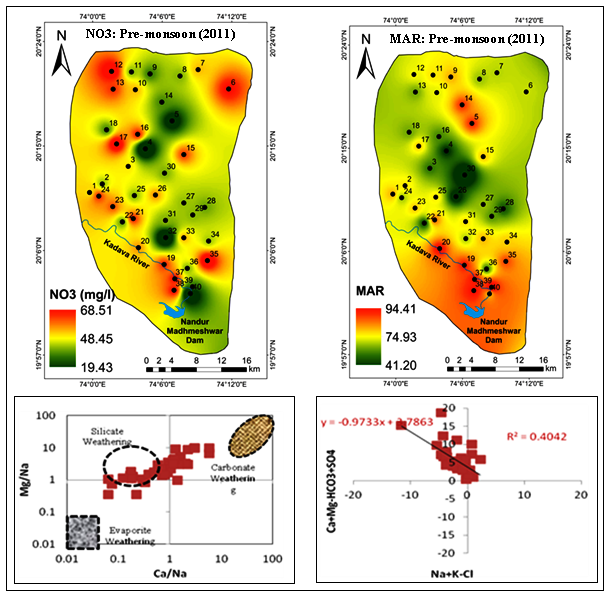 About 2.30km2 shows very good groundwater potential (GWP), 162.10km2 shows good GWP, whereas 127.78km2 and 1.45km2 are under moderate and poor GWP, correspondingly. The structural hilly terrain located in the Eastern and Southern parts has a poor groundwater potential due to higher degree of slope and low permeability of clayey soils. This study can be helpful to identify the GWPZ of drought-prone zones useful for planning and development with integrated water resources management. The groundwater levels are declining at a rapid rate in some parts of southern India. 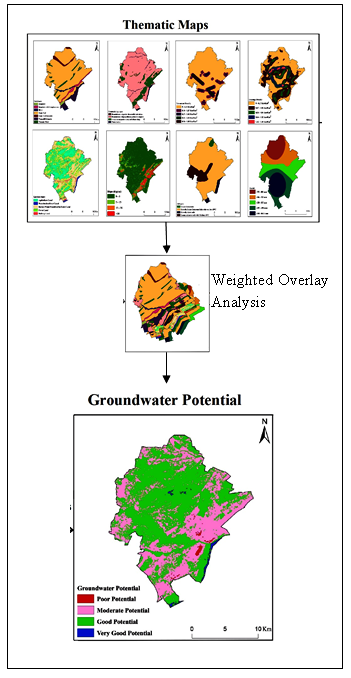 Remote Sensing, GIS and AHP techniques were used to delineate the groundwater potential zones (GWPZ). Weightages were assigned for different thematic maps to obtain GWPZs. About 2.30km2 area shows very good, 162.10km2 shows good, whereas 127.78km2 and 1.45km2 are under moderate and poor groundwater potentials. Findings are useful to the decision makers for sustainable groundwater management.